The majority of our skip hire customers in and around Croydon, Bromley, Sydenham, Dulwich, Wimbledon, and Kingston have their skips offloaded onto a driveway or within their site perimeters. J&N Skips remind customers that the stabilising equipment we use on our Lorry can cause damage to driveways and floor surfaces, although this is rare. Customers cannot have skips offloaded onto a public road without the required permit. J&N Skips work closely with local councils near Croydon and throughout the wider UK to obtain the permit you require. Please be aware that skip hire costs vary in different areas. It can take 5 days for permits to arrive so please request them in advance. Skips offloaded in traffic-sensitive areas, red routes or suspended bays are charged on a per-day basis. If you would prefer to avoid a permit application, J&N Skips offer a wait-and-load rubbish clearance service to Croydon, Surrey, South East and South West London areas with Same Day Delivery. We dispatch a driver who will set a skip in position and wait for up to an hour while you load it with anything you want rid of. As soon as your skip is full, we reload it onto our vehicle and return your waste to site. Looking for Domestic Or Commercial Waste Disposal Near Me? J&N Skips offer a low cost and best prices tipper hire service for light waste removal, end-of-site rubbish clearances, and garden waste disposal. As we can’t quote for this service over the telephone, we’ll send out a team member to inspect your waste quantity and to provide a free quotation either it is a House Waste, Building, Green or Food Waste. Subject to your agreement on price, we’ll help to remove your waste.  Our tipper services are perfect for projects in and around Croydon, Bromley, Sydenham, Dulwich, Wimbledon and Kingston where there is an insufficient waste to fill a skip.